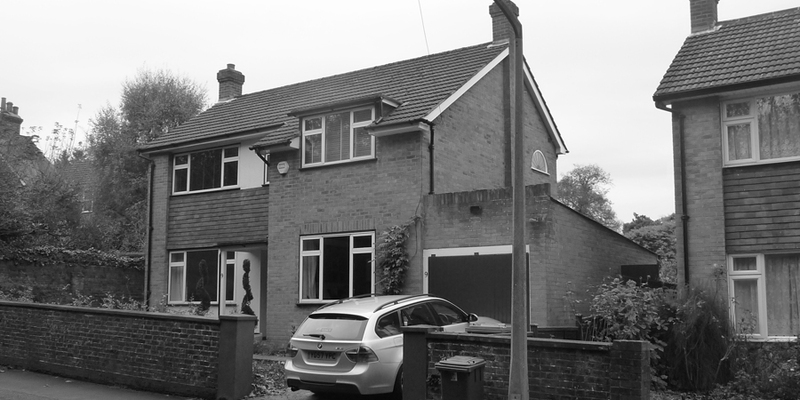 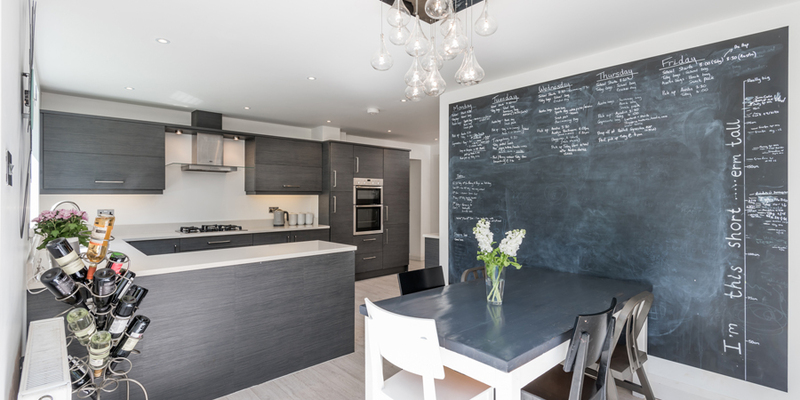 Our client required additional kitchen, dining and bedroom accommodation and external modernisation of this 1960s detached house. 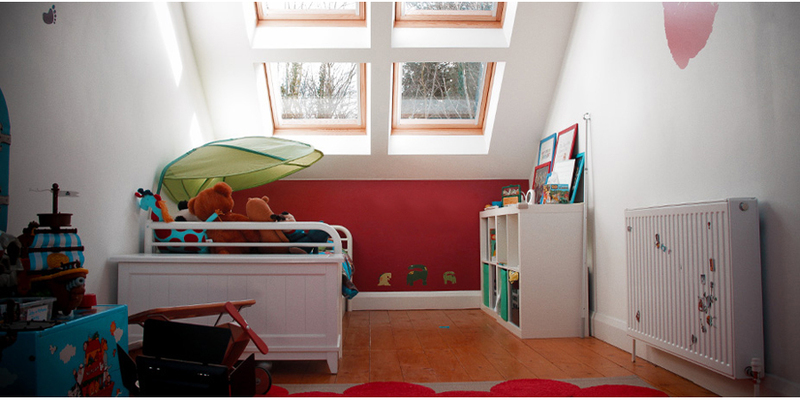 Although our client had been previously advised this was not possible, our careful design permitted the construction of a new bedroom on top of the existing garage thus saving considerable cost. 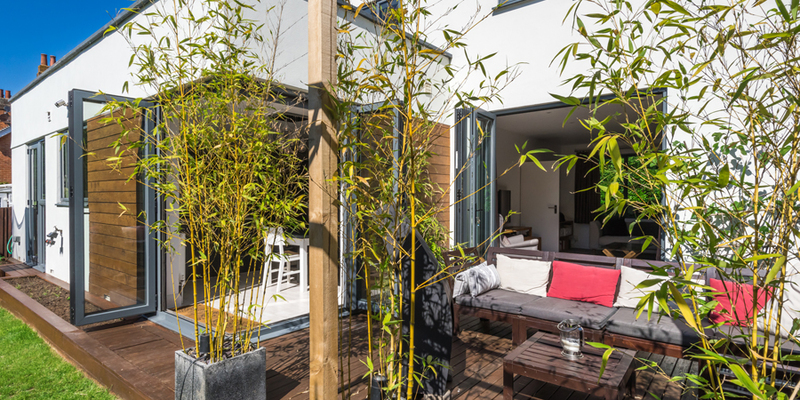 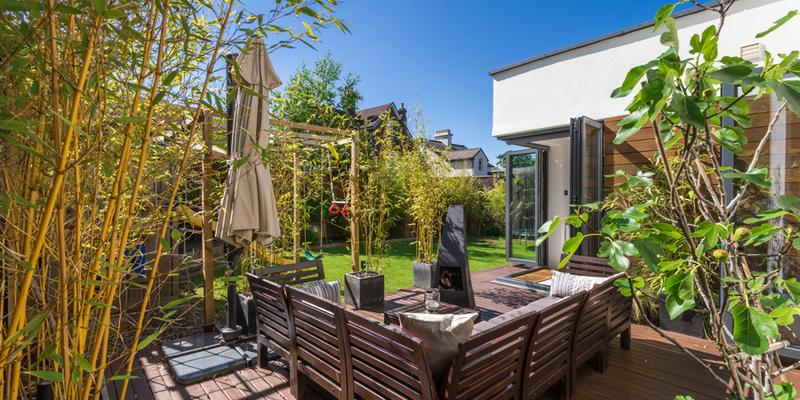 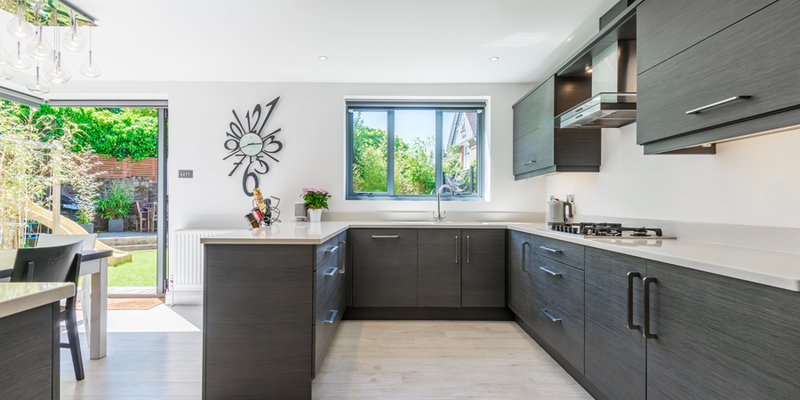 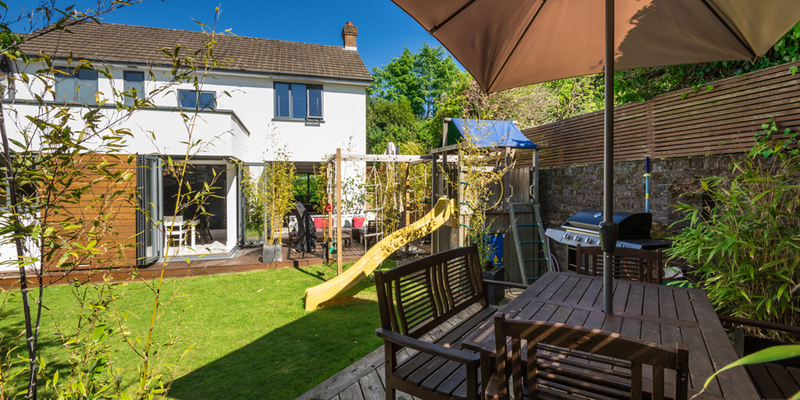 A modern single storey rear extension provided an enlarged kitchen and new dining area well connected to the garden space via corner external doors. 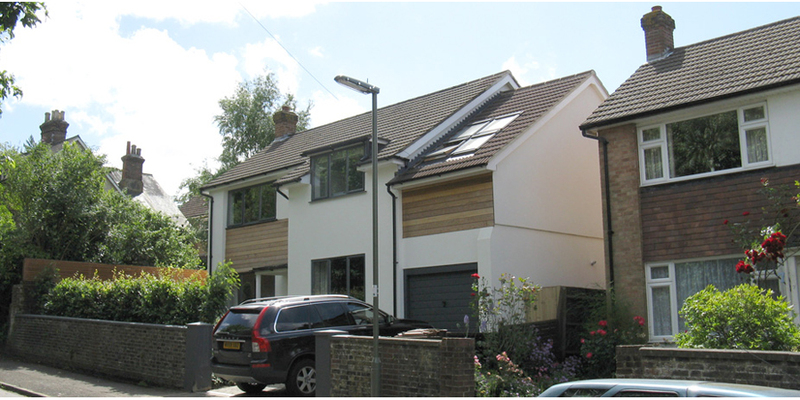 Externally, new white painted render and panels of natural timber boarding to both new and existing parts provides visual coherence to the whole.